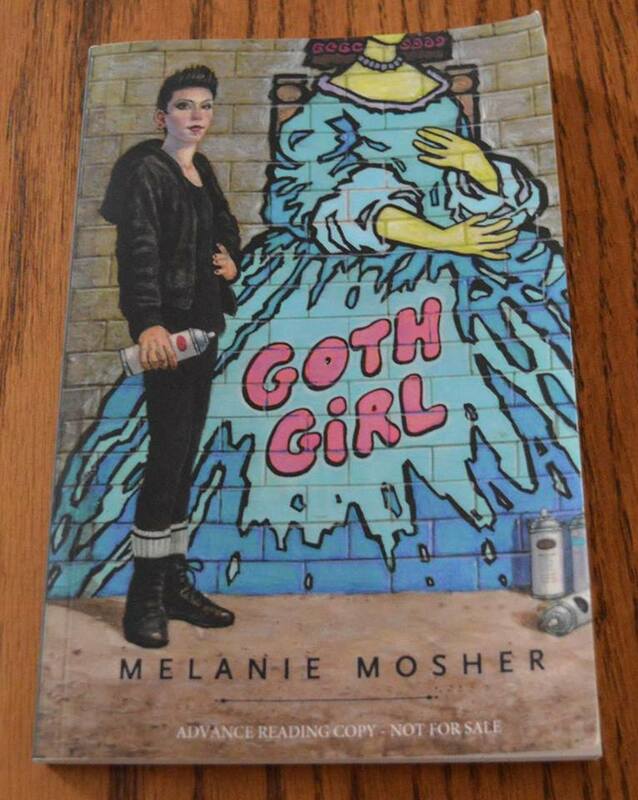 Swing over to our Facebook Page to enter to win a copy of Goth Girl by Local Author, Melanie Mosher. Get extra ballots for 1- tagging a friend who you think would also like to enter the draw 2- for sharing this post 3- for telling us why Melanie Mosher is special to Dartmouth Book Exchange and 4- for telling us what Melanie Mosher and Author, Meghan Rose Allen have in common. Draw Date will be October 11th…– 12 noon. Goth Girl, ages 12-15- There’s one thing that really irks fifteen year old Vic Markham–the way people judge her based on her appearance. And now she’s stuck with a bunch of delinquents doing a crappy mural just because she got nabbed doing illegal graffiti. At least there’s Zach, a handsome rich guy, who seems to catch Vic’s interest. Will Zach help Goth Girl find her way, or lead her down a path of destruction?